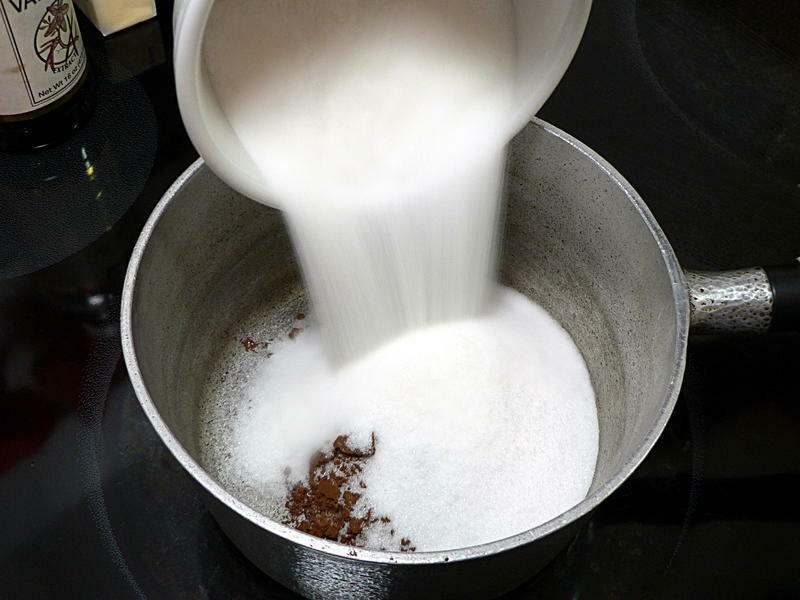 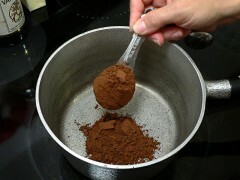 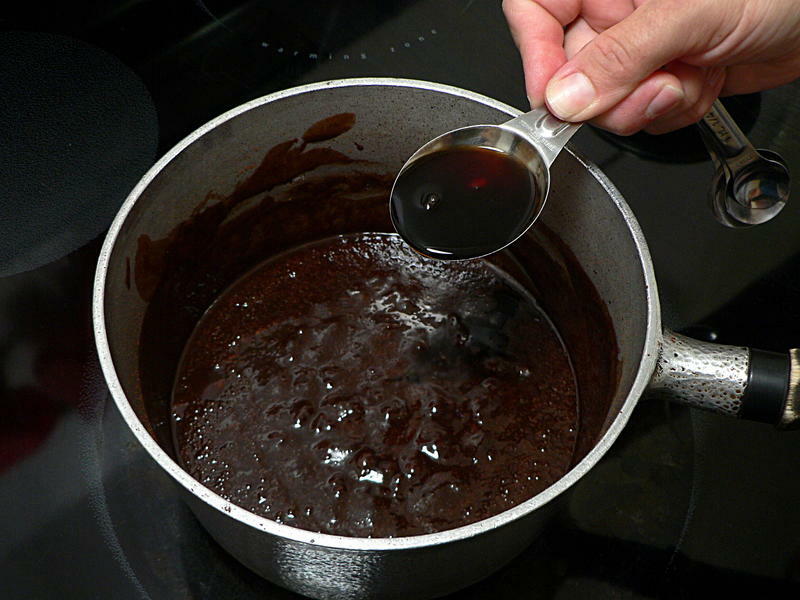 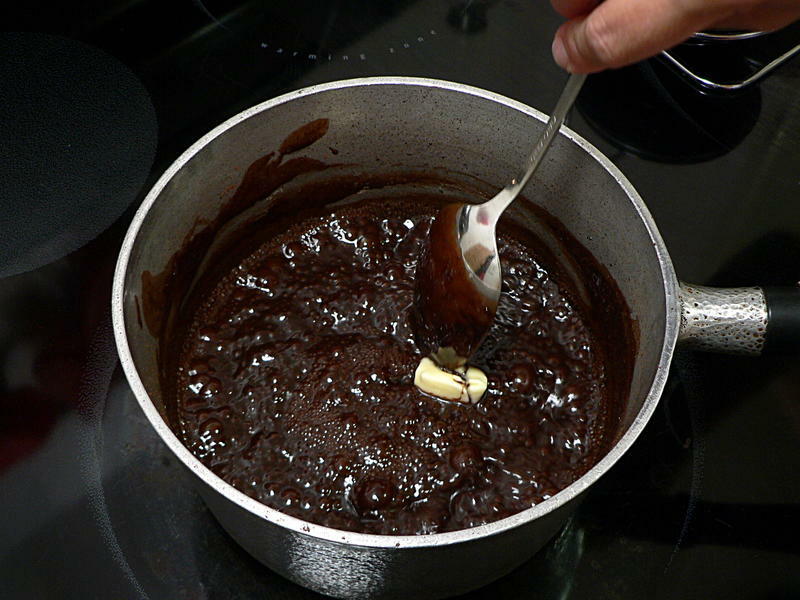 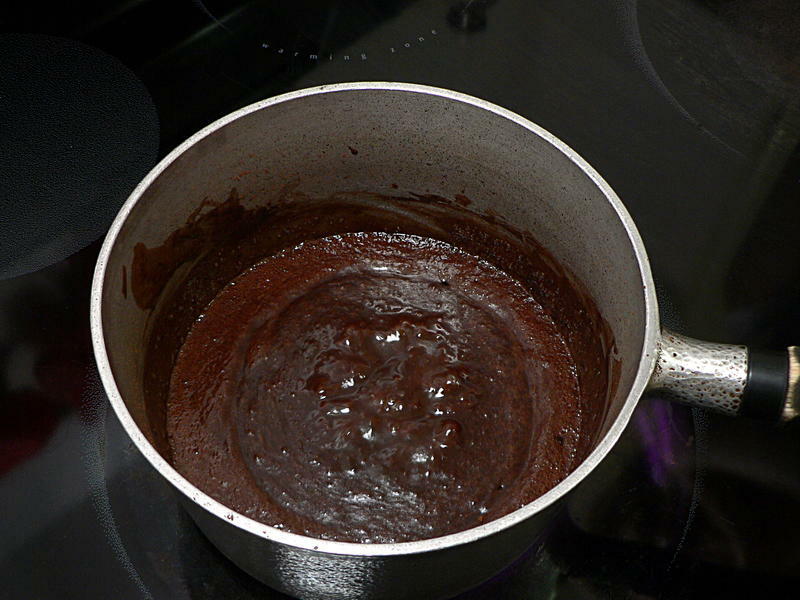 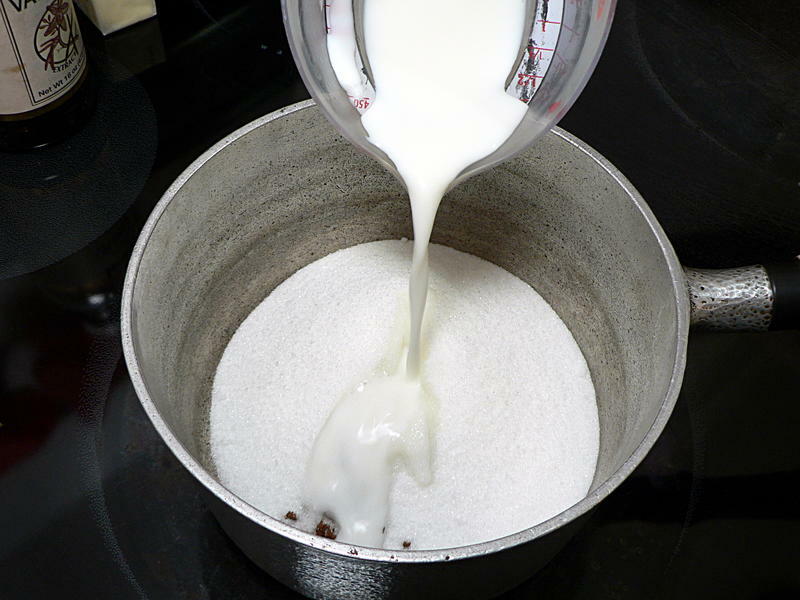 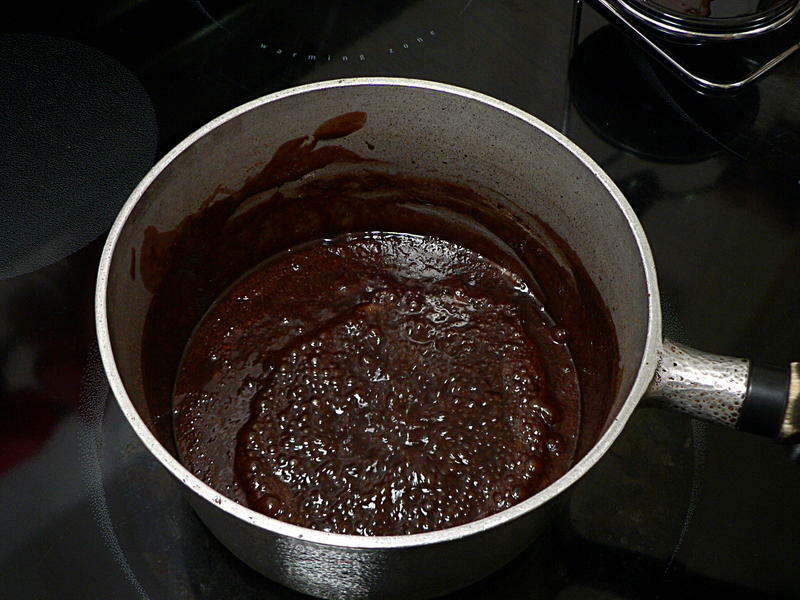 Combine the cocoa, sugar and milk in a heavy-bottomed pan and bring to a boil over low heat. Continue boiling gently, stirring frequently, for 4-5 minutes until the sauce starts foaming up and appears to double in size. 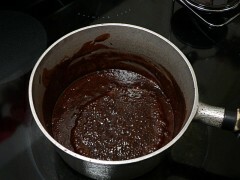 Note that even off the heat, the sauce will start bubbling again when you add the vanilla. 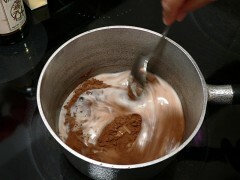 Pour the chocolate into a pitcher for serving. 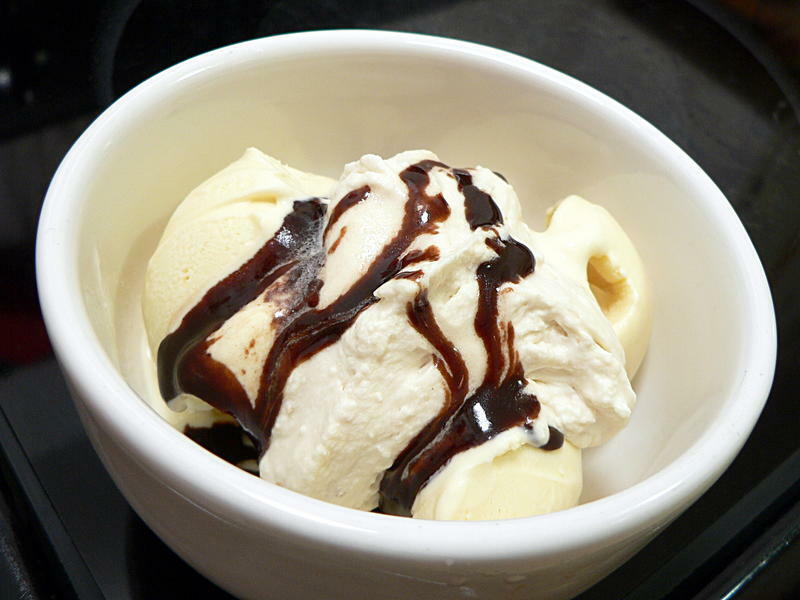 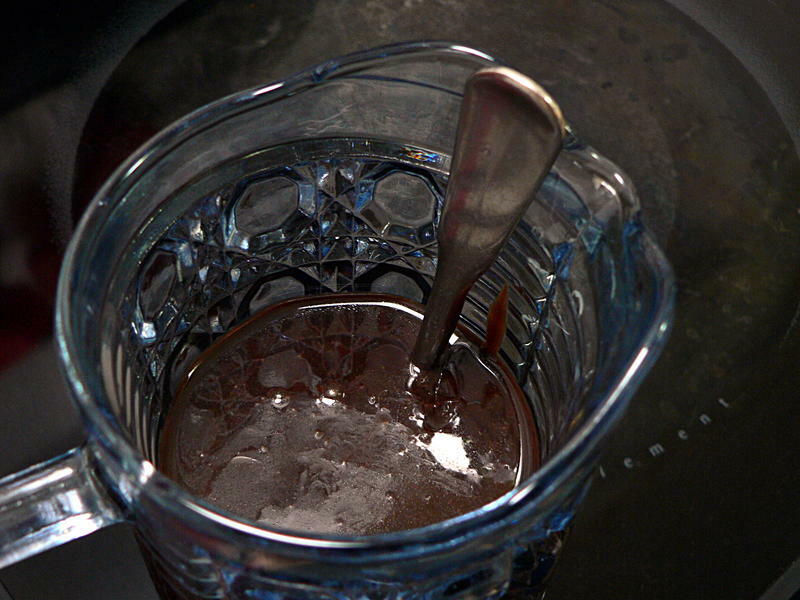 If your pitcher is glass or ceramic, put a metal spoon in before pouring in the chocolate. 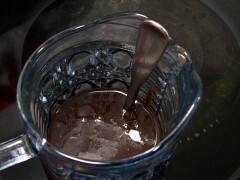 The spoon will absorb some of the heat and help keep the glass from shattering from thermal shock. PS: If you don’t eat it all, cover the pitcher with plastic wrap and keep in the fridge for up to a week. 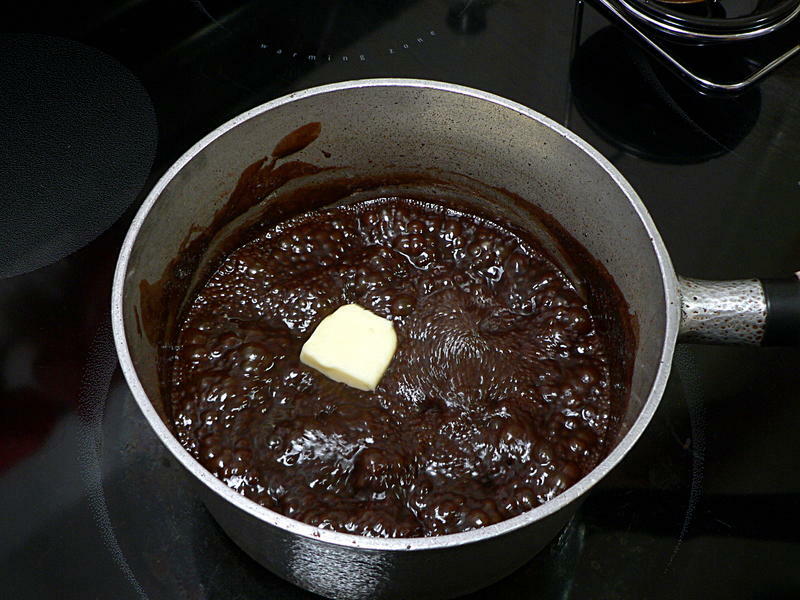 (Maybe longer, but I make no promises.) 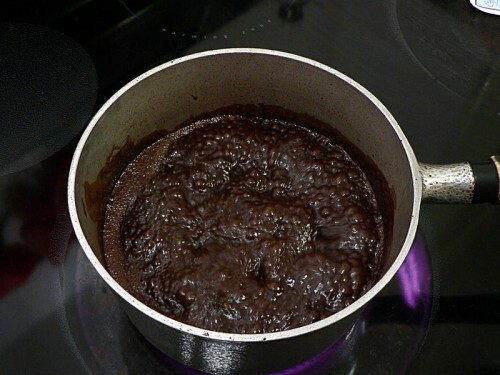 Reheat in the microwave before serving. 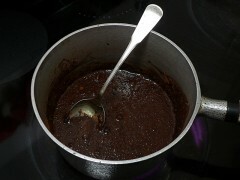 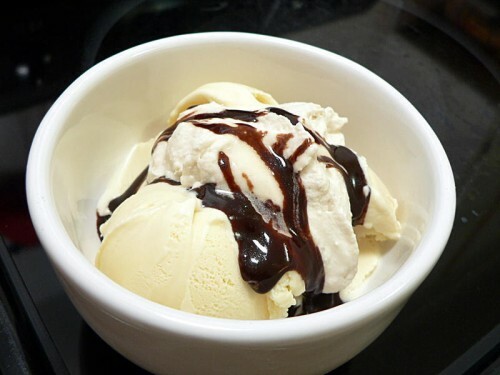 PPS: The better the cocoa, the better the sauce. 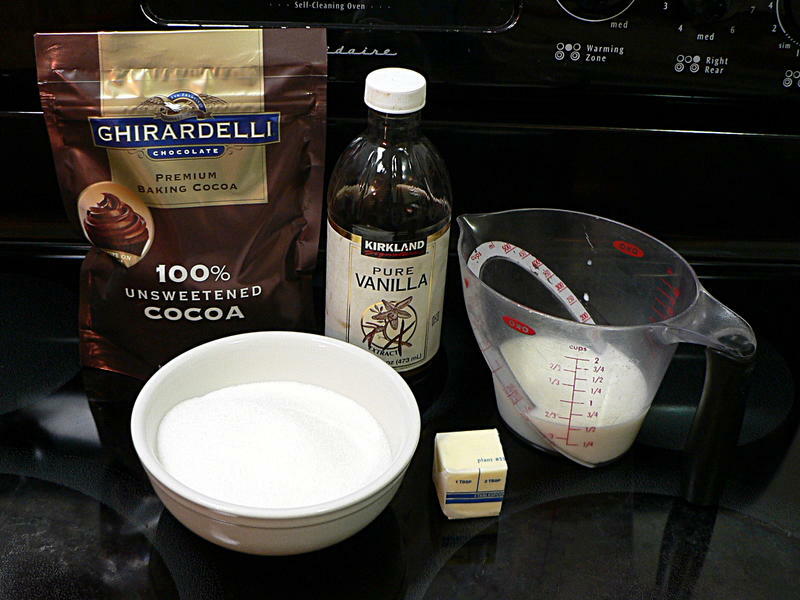 Jenn made this for years with Hershey’s cocoa powder. I had her try it with Ghirardelli. Now she’s spoiled and won’t eat the Hershey’s any more. Sorry, honey.